When will be Home of the Year next episode air date? Is Home of the Year renewed or cancelled? 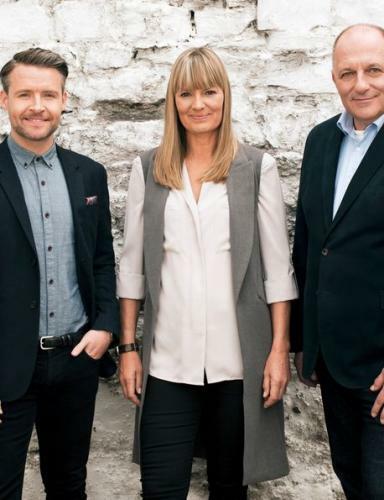 Where to countdown Home of the Year air dates? Is Home of the Year worth watching? Championing individuality, flair and commitment to design, Home of the Year features homeowners around Ireland who have done something extraordinary to the place they call home.Over 8 weeks, 21 homes compete for the Home of the Year title, with three very different and unique properties featured each week.From unusual conversions to architectural gems and countryside retreats, Home of the Year features people who have built their dream home, just the way they want it. Series one and two showcased homes from all across Ireland including a converted workshop, a barn turned dream home, a radically transformed Dublin terrace and a self-built cob house to name but a few.Making the tough decisions on which homes go through to the final are our three expert judges; design legend Hugh Wallace, acclaimed architect Declan O'Donnell and award winning interior designer Deirdre Whelan.Looking for individuality, functionality and clever design, the judges individually score each of the homes out of 10, the home with the highest combined score in each programme goes through to the final, where the ultimate winner is crowned. Home of the Year next episode air date provides TVMaze for you. EpisoDate.com is your TV show guide to Countdown Home of the Year Episode Air Dates and to stay in touch with Home of the Year next episode Air Date and your others favorite TV Shows. Add the shows you like to a "Watchlist" and let the site take it from there.